Reliability, versatility and after sales service is what makes Samsung as one of the strongest contender for TV market leader in India. Latest line up of Samsung has brought incremental changes in its features to cater the needs of its customers in the evolving world of technology. At the the recently concluded CES (Consumer Electronic Show) tradeshow, Samsung unveiled the upgraded QLED TVs, featuring quantum dot display. Taking cues from rapidly expanding field of quantum computing, Samsung has started to roll out quantum dot powered displays in its latest high end offering. Quantum dots are nano-sized crystals (one billionth of a meter or 1/10,000 of hair strand size!) made of semiconductor materials, which has a very good light absorbing and emitting capacity making it apt for brilliant display quality and energy efficiency. As opposed to conventional display which tends to get mix up with adjacent colors, quantum display offers a very stable and pure color of light making the colors more precise and life-like. With over a billion precise colors, Samsung TVs provide rich and perfect colors that continues to stay true even while displaying brightest scenes that would otherwise wash out on other TVs. With Quantum Dots, Samsung has improved upon their existing color technologies like Active Crystal Color and PurColor which were introduced in Series 7 and Series 6 respectively in the past. Quantum Dots competes directly with Sony’s Triluminous Display and LG’s OLED technology in terms of picture quality and variety (range) of colors. Picture engine is the heart of any TV and Samsung’s HyperReal engine drives the picture quality on Samsung TVs. A picture engine is best described as a “smart processor” that retouches the images by adding missing colors, lustre, vibrancy, texture and details to the picture. This is the real piece that differentiates one brand from another because hardware of two brands can be the same, but this software piece makes a brand stand apart from others. 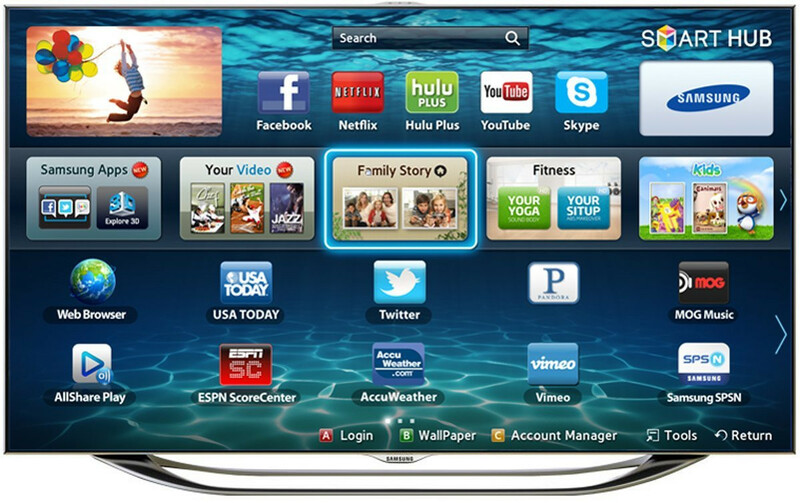 Samsung’s HyperReal engine propels Samsung to one of the premium brands on TVs. This picture engine stacks very well against those from the competitors like Sony’s X Reality Pro, LG’s Triple XD Engine and Panasonic’s Fine Remaster Engine. However, in general in terms of picture quality Sony’s X Reality Pro and Samsung’s HyperReal Engine would lead the group. Latest Samsung TVs are powered by Q|4k HDR Elite, which harnesses the power of HDR in the optimal manner. It delivers elite contrast, which means even while watching TV during the day in a brightly lit room, Samsung TVs cut through with peak brightness only on the parts that need it. It also gives expanded color details which makes it possible to reveal subtle details, which are lost otherwise, on a challenging white on white color pallets or black on black color pallets. If you are looking for great picture quality, try to find models with HDR in Samsung. Samsung latest generation smart TVs host the ‘Smart Hub’ OS, which saw a major upgrade in 2015, wherein the Korean manufacturer decided to revamp its TV OS around its proprietary Tizen OS. Samsung has managed to turn Smart Hub into a miniature entertainment hub, capable of giving easy access to cloud gaming, high-quality HDR movies, music, all in single streamlined package. Latest technological innovation by Samsung in smart remote technology is ‘One Remote’ which can be connected to any device even if they are hidden or tucked out-of-sight, owing to their ‘Invisible Connection’ technology powered by optical cable. On ergonomics front, it is very comfortable to hold and features craftsmanship unlike anything else currently on the market with controls being simple and intuitive. Voice Command functionality have been overhauled in 2017, and it works pretty good now. Unlike most other smart platforms, users are empowered with the ability to both search for content or apps, but also change settings. Even more technical stuff such as calibration settings are only a button press away, which is quite nice. The OS is pretty impressive when compared to the competition. It offers better performance as compared to Android OS in Sony and Firefox in Panasonic. But LG’s WebOS still performs better than Samsung’s SmartHub in terms of speed and usability. Samsung is one of the pioneers of curved televisions and presently the only provider of curved TVs in India. The gently carved curves round the Samsung’s television helps the viewers to be at the epicentre of the action, providing them with apparently wider view field and make their viewing experience more uniform. High ends curved TV models also are armed with auto depth enhancer, a technology developed to provide viewers with noticeable depth of the scene which is otherwise missed in the standard television. Though curved TVs are eccentric by design, giving users with more immersive experience of depth, sharpness and contrast but the downside is they are slightly more vulnerable to onscreen reflection of the incident light. Many Samsung models, especially the budget ones offer Triple Protection which is quite well suited for Indian conditions. This feature provides protection for the TV from Voltage Fluctuations, Power Surges (lightning) and Humidity. It helps improve the durability of the TV and get you the max out of your investment. Samsung, name itself instills the faith in the product—that’s the brand image Samsung has managed to create over time. 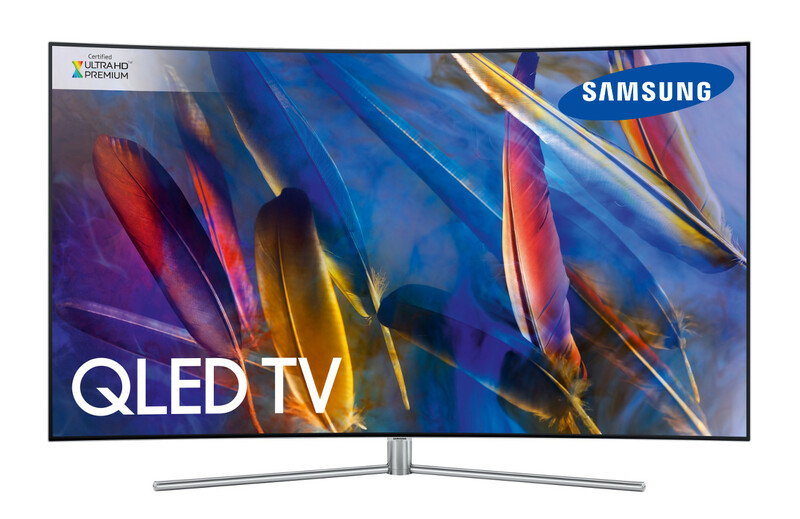 No doubt Samsung makes very good TVs but their pricing has sprouted unreasonably over time with value for money parameter going for the toss. Despite of this, most people still trust Samsung when it comes to buying a TV suiting their needs and budget. Another plus point is that even in HDR, Samsung TVs maintain a low input lag which is great for gaming. With 4k TVs gaining popularity, resolution for other media devices is still on lower side specially when smartphones are to be considered. This is where Samsung excels by enabling even the lower quality content such as broadcast TV or DVDs to scale up to the 4k resolution so that viewing experience is not ruined due to resolution mismatch. Despite of this abundant takeaways, there are areas where Samsung don’t hold up to its reputation. Build quality is one of them. Samsung TVs, in general, will not have outstanding build quality with lot of plastic being used in the making, and it isn’t unusual for some parts of the TV to come off after some use. Also, audio quality of the Samsung televisions is not the best amongst its peers. Barring this few shortcomings, Samsung still dominates the TV market and ranks higher on reliability meter.